Dr. David Villarreal is a top rated dentist in Conejo Valley popularly known for providing biological dentistry with a touch of class and warmth. Biological dentistry is an alternative approach do dentistry that focuses not only on your oral health but your overall health. Biological dentistry aims to emphasize the interconnection between your oral health and overall health. Its focus is to eliminate infections, use biocompatible restorative materials as well as to promote an optimal structural relationship between your teeth, jaw, neck, and head. For this reasons, Dr. Villarreal provides Amalgam Filling Removal to eliminate tooth decay. A biological dentist examines all parts of your body as connected and believes there’s a link between your oral health and your overall health. Not only does a biological dentist look at your teeth and gums, he also examines the body attached to the teeth and gums. This is exactly what we do here at BioDental Healing. We believe that your oral cavity health is critically important to your overall health and wellness. At our consultations, we examine factors that are closely related to your oral health such as breathing, nutrition, posture, and sleep. Since the mouth is the gateway to the respiratory tract, we examine your mouth closely for common infections like tooth decay and gum disease. Once we’ve determined that you have an infection, we look at reasons behind it or why it occurred in the first place. From there we provide you with a comprehensive dental care and treatment. This is what biological dentistry is all about. A certified biologist dentist in Conejo Valley, Dr. David Villarreal is the best dentist in Newbury Park offering a dedicated, safe and comprehensive approach to natural dental care. 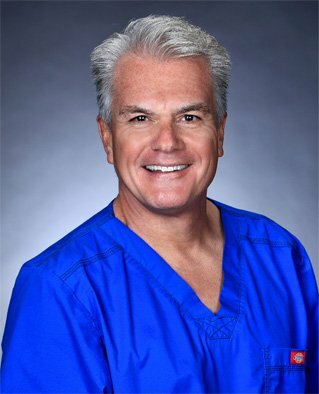 Dr. Villarreal is renowned as the best Thousand Oaks family dentist because of his committed approach to biological dentistry for his patients. He recognizes the link between oral health and that of the entire body. Toxic materials and infections inside the mouth can spread throughout your entire body pretty fast. Come to BioDental Healing for a high quality biological dental care in Conejo Valley. We also provide biological dentistry across Ventura County including Thousand Oaks, Newbury Park, Westlake Village, Agoura Hills and Simi Valley. This entry was posted in Biological Dentist and tagged best cosmetic dentist thousand oaks, best dentist in conejo valley, top rated dentist conejo valley. Bookmark the permalink.